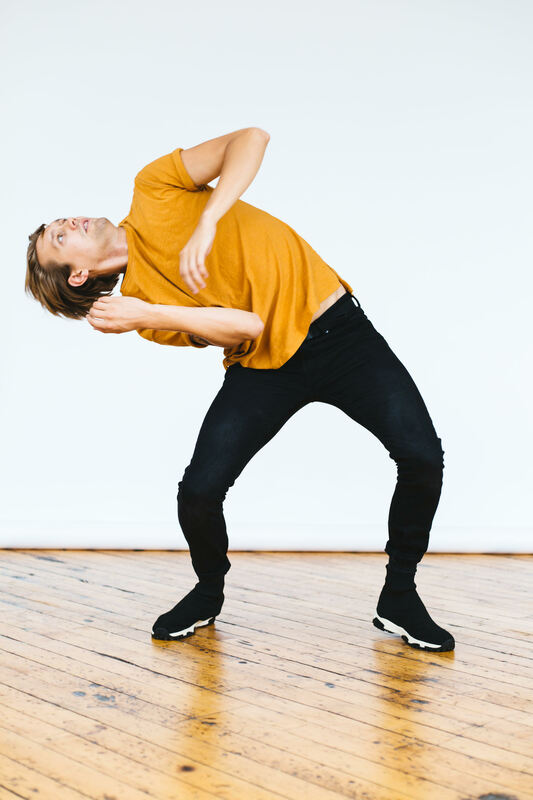 Tristan Koepke is a dancer, educator, and bodyworker based in Minnesota. He has been a part of Zenon Dance Company in Minneapolis since 2011, appearing in the works of many artists including Faye Driscoll, Netta Yerushalmy, Andrea Miller, and Daniel Charon. He frequently collaborates with choreographer Chris Schlichting, for whom he has worked since 2009, and recently appeared in Vanessa Anspaugh’s Bessie-Nominated The End of Men. His past performance credits include Doug Varone and Dancers, luciana achugar, BANDportier, Morgan Thorson, elephantJANE dance, Patrick Scully, ARENA Dances, Time Track Productions, the Lyric Opera of Kansas City, and The Minnesota Opera. Tristan, certified as both a yoga teacher and Rolfer™, received his BA in Dance from the University of Minnesota-Twin Cities. He is currently the Associate Director of the Young Dancers Workshop at the Bates Dance Festival, where he has worked since 2010, as well as affiliate faculty at the University of Minnesota-Twin Cities.